Coming to a crossroads can happen at any stage of your career. Whether you’re looking to start out, stand out or make a significant move within your role, knowing where to apply your energy and focus is a common stall. In order for you to gain the best competitive advantage suited to your goals and your industry, you need to ensure you’re tracking on a career path. A career path is a ladder-like career planning tool that showcases your journey from an entry-level position and how, by gaining the right skills, and experience you’ll begin to progress through the path. The problem, however, is businesses, employee structures and industry trends are under continual change. This casts an uncertain shadow over the traditional career path of the past. The once reliable linear structure will now struggle to lead you much further into the future. The career path you’ll need to follow is structured much like a jungle gym, it’s a far more complex profile that provides a variety of directions and spaces for you to explore. What is a career path profile and why do you need one? Being unsure about which role you’ll ultimately settle on or whether the skills you learn now will fail to set you apart in your industry in five years time is a reality many professionals experience. Being able to future-proof your career and ensure you’ll gain both personal and professional rewards is a task designed for the career path profile to solve. A career path profile is created with a specific pioneering role in a competitive industry. It’s a selected sequence of jobs, skills, courses and experiences that you’ll need in order to attain and retain the career path of your choice. Want to know what generalist or specialist skills you’ll need in five years time to become an expert in your field or switch to a more suited role that you never studied for in the first place? The career path profile is a guiding framework for you to base all crucial career decisions against. What will the career path profiles include? Want to find out if your career path is the most profitable or offers the most opportunities for growth in the industry you’re interested in? 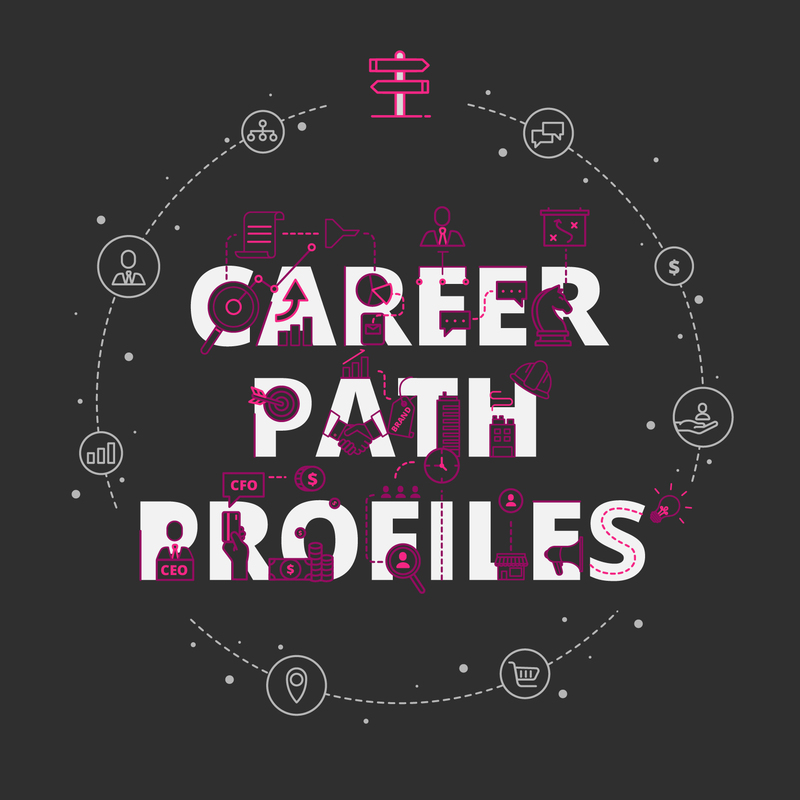 The career path profiles highlight which significant influential factors from career, education, technology and workplace trends will have the biggest impact on your career path in the future. You’ll gain access to advice on how you can best prepare for the integration of artificial intelligence, The Internet of Things, globalisation or big data in your field. Backed by industry insights from professionals currently in the industry or field, you’ll have all the insight you need to learn what you need to do, when you need to do it and how. Which industries will the career path profiles cover? The career path profiles will focus on the following five industries – scroll down to the bottom of this page to view the career path profiles in each industry. Each industry will have five different careers that have been hand-selected, researched and profiled to give you the best framework for you to start scoping your future impact in your industry. How can I gain access to the career path profiles? Navigate to your industry below and select the career path profile that is most relevant to you, or someone you know. Click on the link to find all the research you need to navigate trending skills and jobs in your industry’s career paths.